To Naini Lloyd, grandmother. From anonymous. It has been a number of years since you left us, and while you were here we never discussed my sexuality. This is a shame, but in all honesty at the time wasn’t ready to talk to you about this issue, and there didn’t seem to be a need to explain anything, as I wasn’t seeing anyone whose impact in my life required explanation. 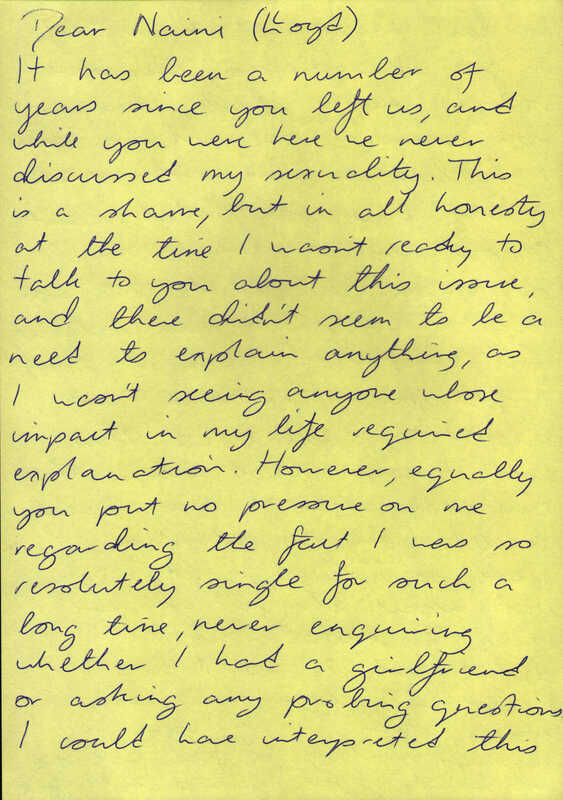 However, equally, you put no pressure on me regarding the fact that I was so resolutely single for such a long time, never enquiring whether I had a girlfriend or asking any probing questions. I could have interpreted this as lack of interest in my life, or fear of addressing the issue, but I like to think that, as you knew me so well, and you had been on this earth such a long time, you didn’t want to put any pressure on me but understood that this was my situation. 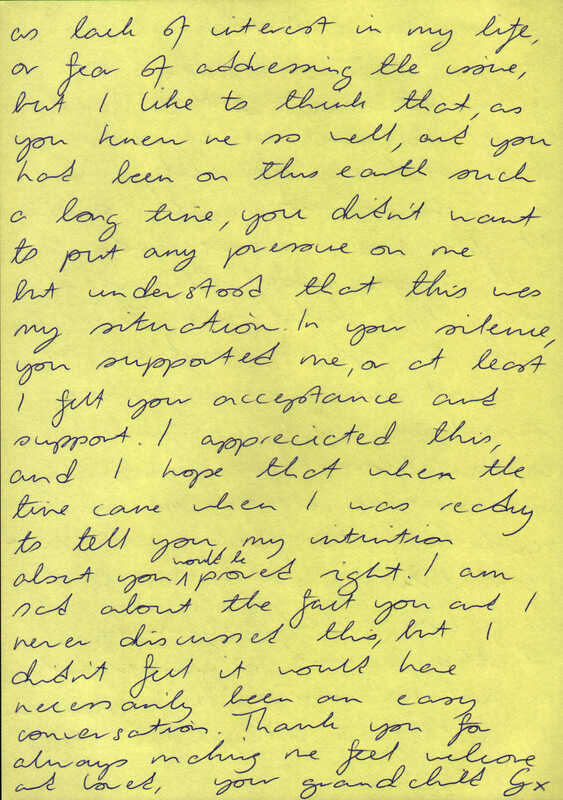 In your silence, you supported me, or at least I felt your acceptance and support. I appreciated this and I hope that when the time came when I was ready to tell you my intuition about you would be proved right, I am sad about the fact you and I never discussed this, but I didn’t feel it would have necessarily been an easy conversation. Thank you for always making me feel welcome and loved.